Well, Christmas markets are one of the most popular attractions in Dubai which attract thousands of customers on a regular basis. Trust me, December is the best time for shopping in Dubai as Christmas is knocking the door and the big Dubai Shopping festival will also be starting from the end of December. So, you must be excited to visit the vibrant Christmas markets for buying souvenirs for your closed ones. In this blog, I will be providing you with the ultimate guide for the popular Christmas markets in Dubai that you cannot afford to miss. 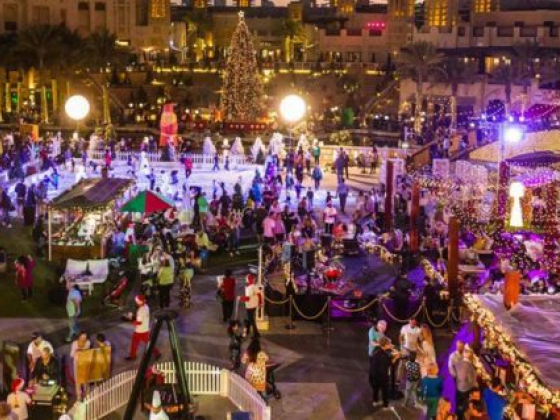 So, below is the list of top Christmas markets in Dubai that you must have to visit. There is a notion that at Christmas Santa will be coming on a sleigh driven by reindeer. Well, in Dubai Festival City Mall, Santa will come for Christmas celebration, but not in reindeer rather in a helicopter. Isn’t it interesting? The huge Festive Market is having larger than life celebration where not only you will get Christmas special accessories and gifts, but also you find larger than life Christmas Tree accompanied by Carols and snowfall. Finally, Christmas is back. 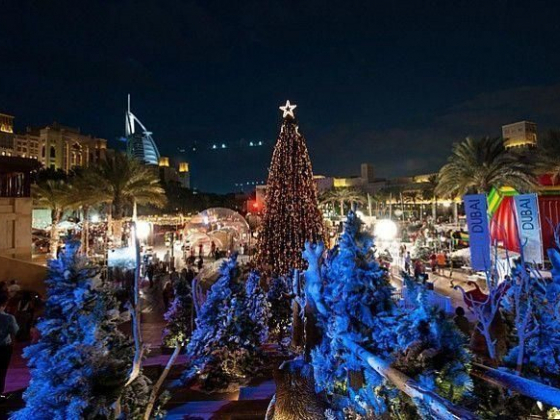 Pave your way to the ever-popular Madinat Jumeirah Christmas market. If you want to enjoy Christmas pie, mince, and foods, then don’t forget to visit the traditional German market i.e. Madinat Jumeirah. You can ride with Santa in a traditional Abra and admire the gigantic Christmas tree. Well, if you are wondering about kids’ special activities in the market, then there is a snow zone, play area, and the gingerbread house making station. This Christmas, the Raffles Garden will transform into a full-fledged festive Christian Market. Get ready for ultimate enjoyment at the live food stations, children choir, market stalls, upbeat tunes, and the free shopping spree. If you are searching for an amazing food experience at the outdoor market, then Raffles market is the ultimate destination for you. Get the traditional festivities like the Turkish Shawarma, mince pies, mulled grapes, roasted chestnuts, etc. Shop the homemade crafts at the Raffles market at your heart’s content. Well, Hyatt Regency is celebrating Christmas while opening a Christmas special market at the lobby in the month of December. You will get ample homemade cookies, Mexican eateries, live entertainment shows by popular pianists which will start from 7 PM and continues till 11 PM at night. Get your Christmas festivities at the market and post-shopping you can have dinner at the hotel itself. Revamp yourself to get a festive spree and twist at the Ripe Festive Market while overlooking the sea. While shopping you can enjoy the view of the sea while having the foods from the Buns & Cows burger truck and the Mina Seyahi kitchen. Being the largest festive market in UAE, Dubai Winter Festival boasts the unique retail powerhouse which has 130 market stalls. Well, I must say that Dubai Winter Festival is the ultimate destination for your Christmas shopping as it has the widest collection of Christmas souvenirs. Don’t forget to visit the Mercato Mall where you will get ample options for shopping in Dubai. 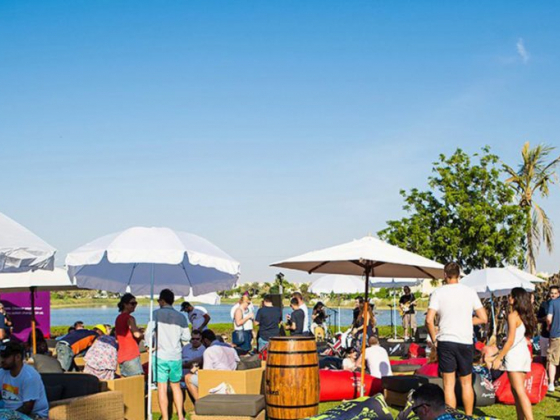 Christmas Carnival at Reform, The Lakes is in the form of gardens at the expat haunt. You will get ample collections of handmade items prepared by the local people of Dubai. Well, this Christmas Carnival boosts the local shopkeepers to showcase their products at the marketplace. Henna artists, clowns, face painting, variously shaped balloons for the kids and lot more entertainment options are available at the Christmas Carnival. Expect the best of Winter Wonderland at the Atlantis The Palm hotel in Dubai for the best Christmas shopping experience. There will be an enormous Festive Village where you will find Christmas special delicacies like traditional cakes, delicious treats, cookies, mince pies, towering gingerbread houses, and many more. Well, there is a chocolate river also and you can get a glitter tattoo of the Christmas pudding. 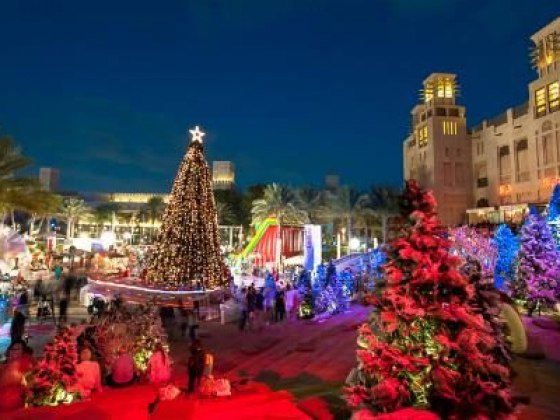 The Winter Wonderland at the Habtoor Palace Dubai has already started from December 4 and will continue up to December 21st. Well, this year the market will portray daily Christmas carols in the Versailles garden accompanied by a live band from 4 PM. You will find Christmas tree lighting at the first opening day and on the background, Christmas Carols are sung by the Emirates International School Kids’ Choir. Get the best entertainment options for the children at the market as well as wide collections of festive foods, live music, Santa visits, mulled drinks, traditional delights, etc. Characterized by a traditional German market, Festive Market offers a festive spirit and the shopping spree to the people who come to the market. Get the best Christmas special seasonal foods, drinks, mini train rides to the North pole, face painting, plum cakes, and activities like bungee jumping for the adventure junkies. It is a perfect place for family entertainment destination in Dubai as you can get lots of entertainment options as well as shopping options too. Well, now you must be thinking of celebrating Christmas as well as New Year in Dubai only. This festive season, you will get a plethora of popular Dubai tourist attractions which are known for celebrating New Year’s Eve in Dubai. Book your New Year special Dubai package now at Tripx Tours and avail huge discounts. And yes, don’t forget to share your experiences while shopping at the Christmas markets in Dubai. If you find more interesting places for New Year celebration in Dubai, share your shopping experiences with me.